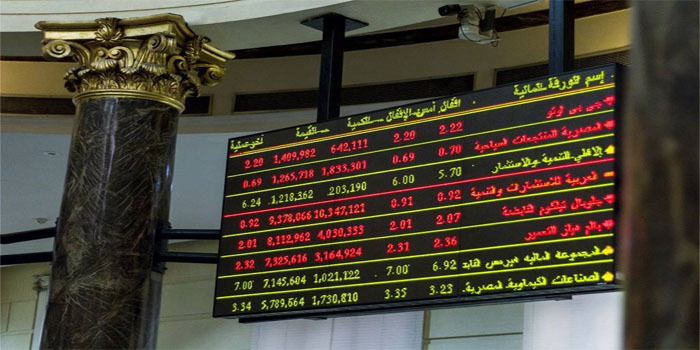 The Egyptian Exchange (EGX) indices ended Thursday in green, pushed up by Arab and foreign investors. Market capitalisation gained EGP 1.09 billion and closed at EGP 824.3 billion. The benchmark EGX30 index stood at 15,105 points, while the small- and mid-cap EGX70 index rose 0.11% to 669.2 points and the broader EGX100 index inched up 0.07% to 1,707 points. The heavyweight Commercial International Bank (CIB) levelled up 0.92% to EGP 74.5, with a turnover of EGP 93.7 million. Egyptian investors were net sellers with EGP 36.19 million, while foreign and Arab investors were net buyers with EGP 24.9 million and EGP 11.2 million, respectively.